We humans are truly fragile. When we really excel at one thing, it always seems to be at the cost of something else. 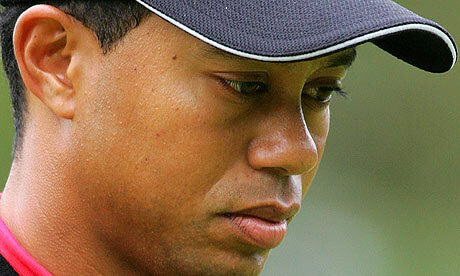 Tiger Woods’ recent infidelity problems are a good reminder. Here’s a prodigy, a talent like the world has never known. He’s been golfing in public since he was four years old, under the strict supervision of his father. Yet, he appears to have been extremely insecure when it came to relationships with women. He never developed a “game” in dating, like most of us men did through trial and error in our teenage years and early adulthood. The world’s most recognized athlete and he craved female attention to a fault (like an adolescent boy). I’ve seen this among many within the Asian-American community as well. A lot of boys are pushed by parents to study, study, then study some more. They are groomed to be doctors, lawyers or professors. After they accomplish their goals professionally and gain some financial security, they don’t have the emotional security and maturity to withstand female attention. They crave it and is intoxicated by it. I’ve seen a lot of marriages break up this way. We are simple beings with various insecurities. I think the greatest gift a parent can give their children is inner self-confidence with common sense intelligence. But many don’t consider this as a top priority when raising a child. Posted in Uncategorized and tagged human behavior, insecurities, Tiger Woods. Bookmark the permalink.